SoulCollage®, developed by Seena Frost, is a way to access and apply our inner wisdom through intuition, imagination and images. Through a guided process, you create a personalized deck of cards representing different aspects of yourself, which are then consulted on questions of importance. How Can SoulCollage® Support Me? I design SoulCollage® experiences that support you in connecting more deeply with aspects of your identity, history, and vision. SoulCollage® can help reveal and integrate parts of ourselves that either support or hinder our resilience to change, making them accessible to us as tools for personal and group transformation. 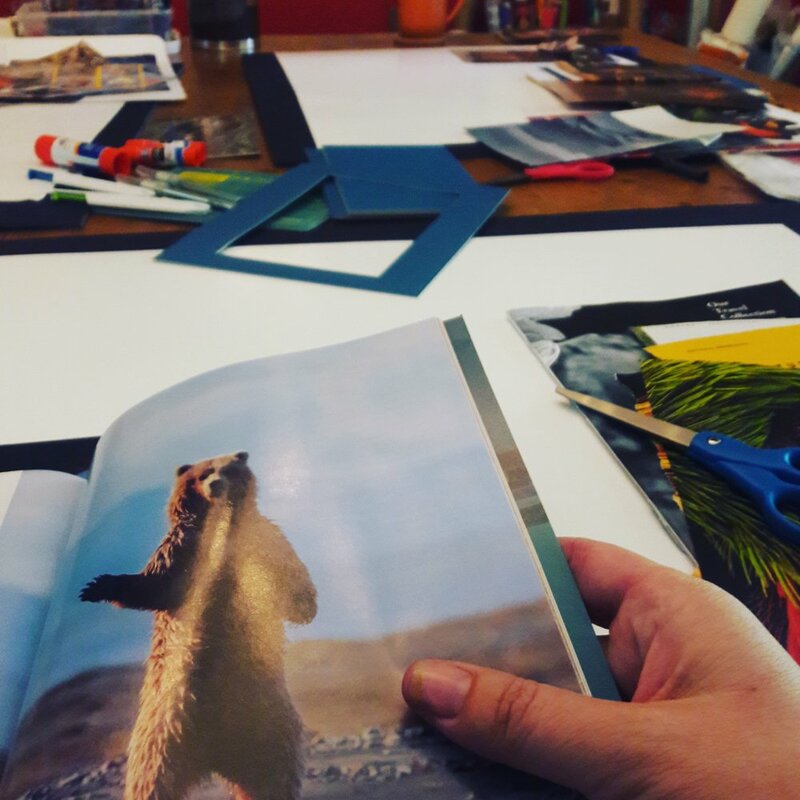 I combine SoulCollage® with other modalities, such as the Immunity to Change process, to provide unique and highly customizable experiences for groups and individuals in a variety of settings. Seena talks about how the practice of SoulCollage® is an "Agent of Change" that contributes to the healthy longevity of our planet. Founder Seena B. Frost talks about how the symbolism of the three Transpersonal Cards, the silent cards in your SoulCollage® deck, are reflected by Indra's Net. An essential part of the SoulCollage® process is the joy of tapping into one's intuition to answer current life questions. SoulCollage® is a healing tool and modality used by individuals and professionals worldwide for personal development and spiritual guidance and reflection. SoulCollage® Founder Seena B. Frost, M.Div., M.A. and Mariabruna Sirabella, M.S., LMFT explain the basics of how to share SoulCollage® with friends, clients, and in groups.